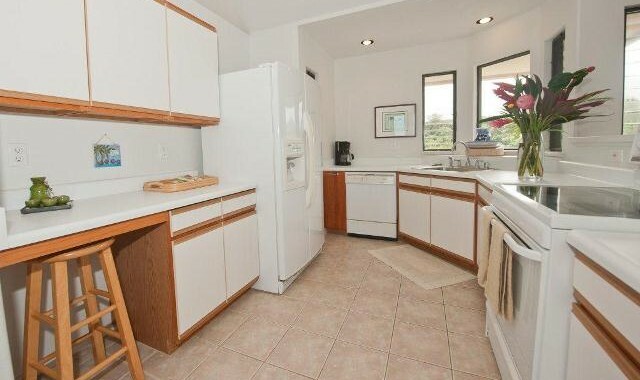 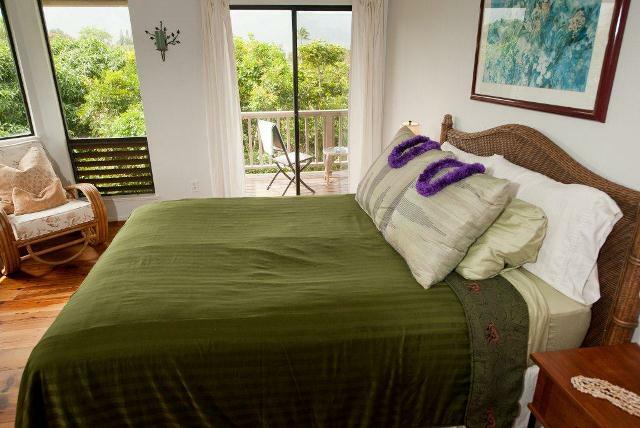 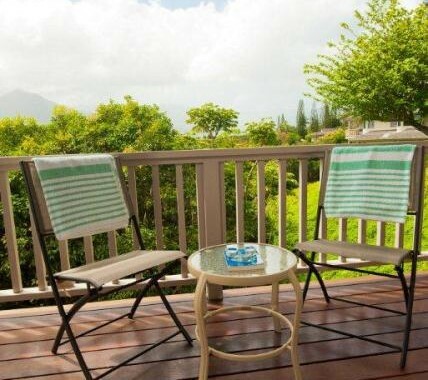 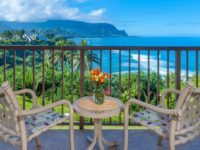 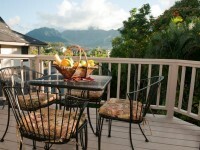 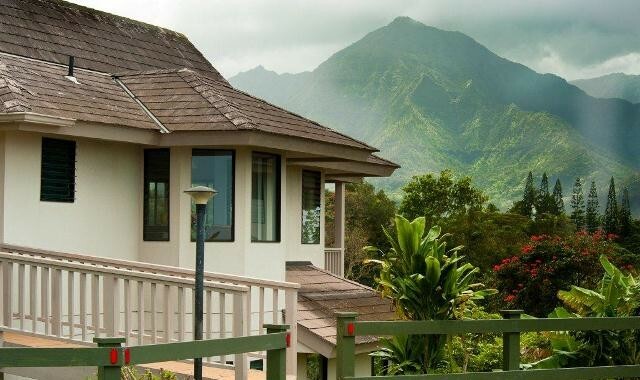 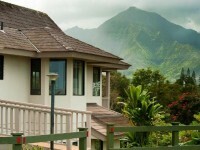 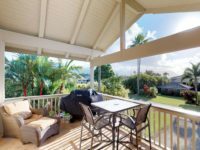 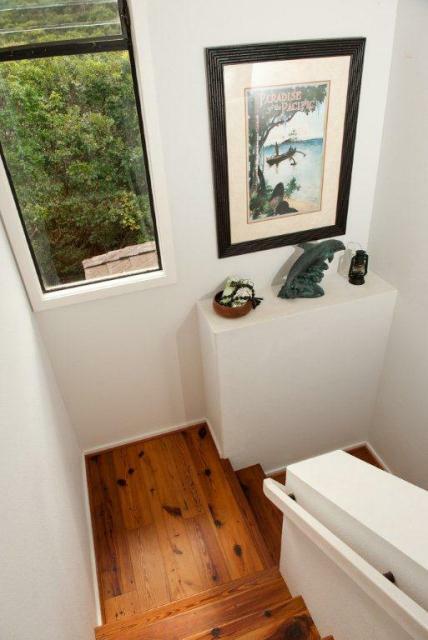 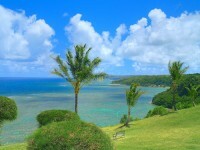 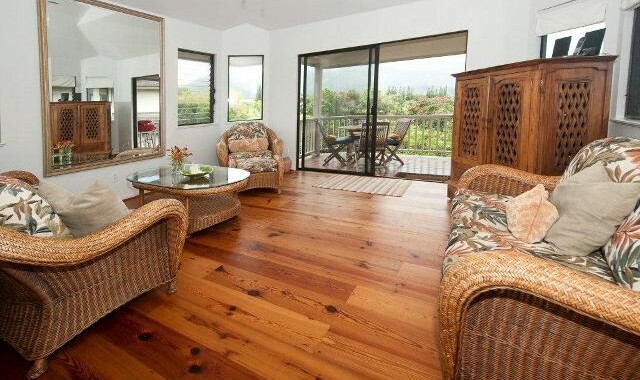 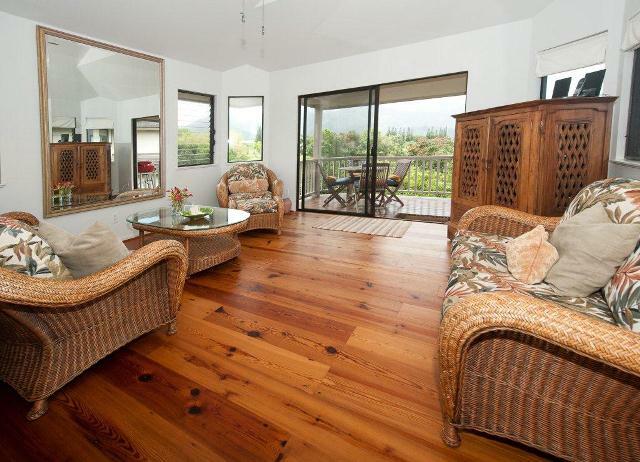 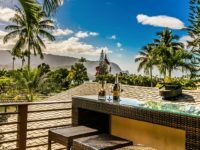 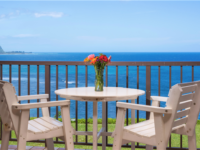 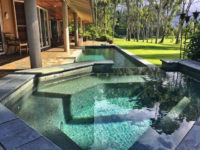 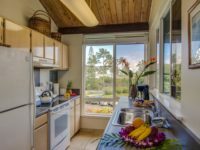 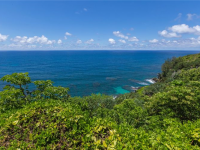 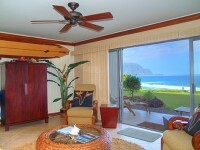 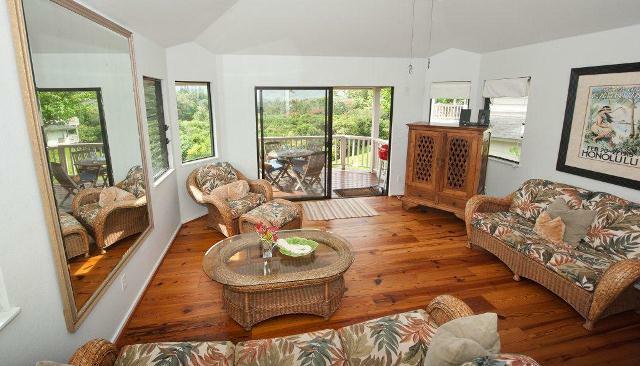 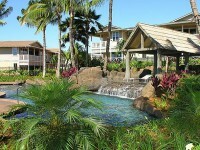 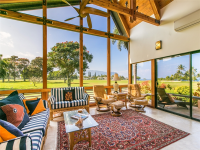 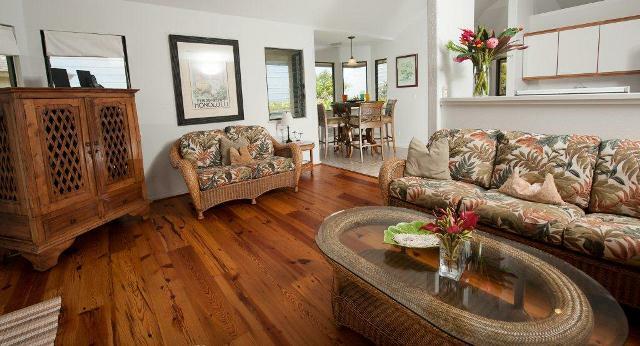 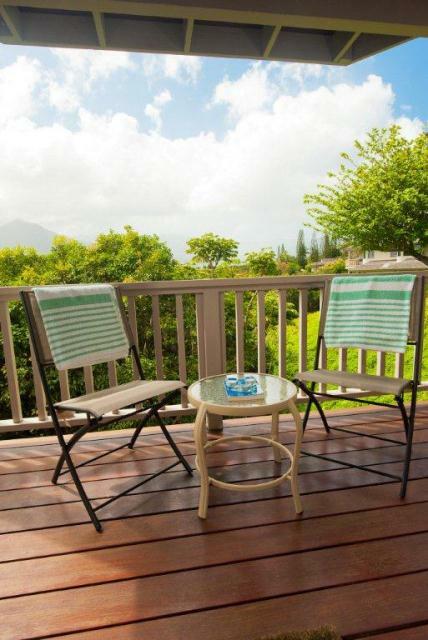 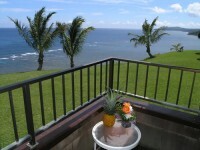 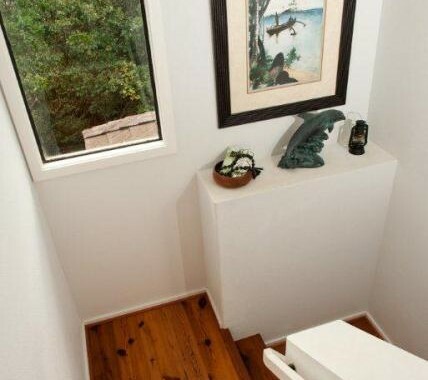 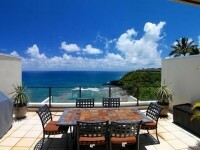 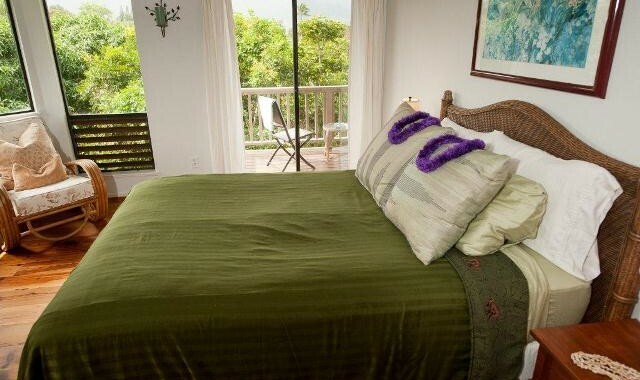 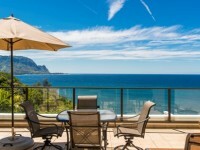 PRINCEVILLE, KAUAI VACATION RENTAL: Hanalei Bay Villas #33 is a wonderful stand alone villa located in the town of Princeville. 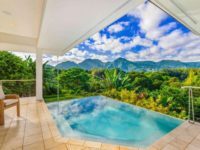 Boasting breathtaking ocean and mountain views, this villa is ideal for couples, families and honeymooners. 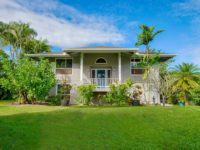 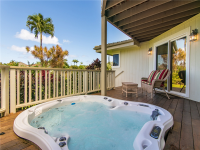 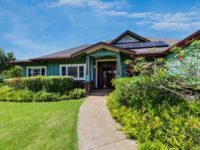 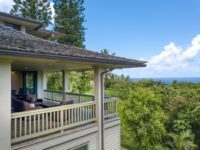 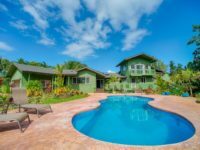 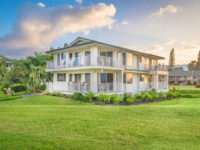 This is a two story, two bedrooms (Q, Q) and 2.5 bathroom villa with fully equipped kitchen, comfortable living room with flat screen TV, ceiling fans throughout, dining area and two lanais facing the lush tropical beauty of Kauai. 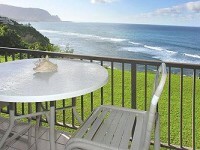 Check out the surf across the street, close to Hideaways beach path and also the beach path along the St. Regis. 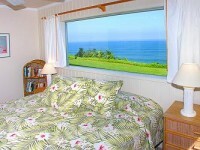 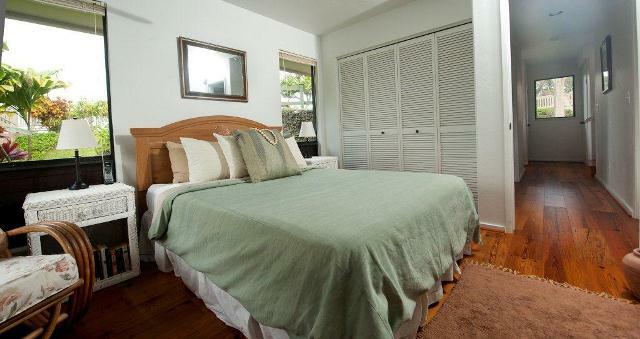 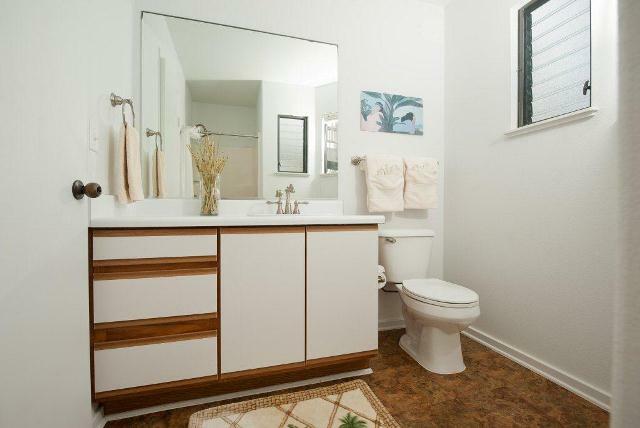 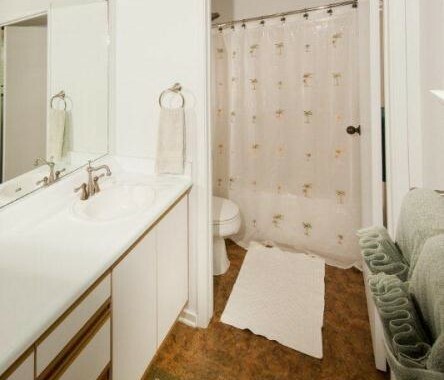 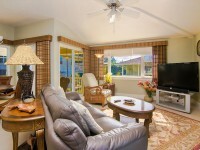 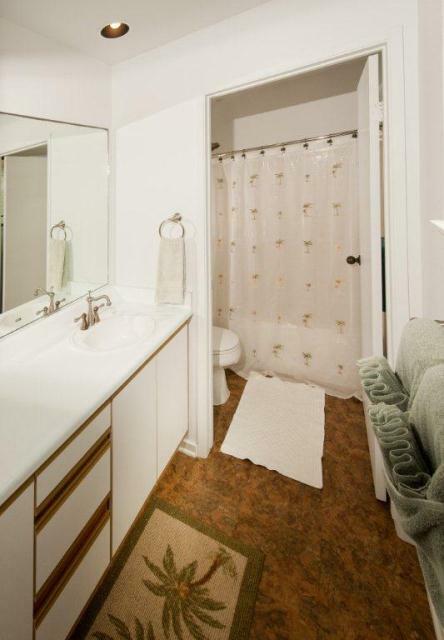 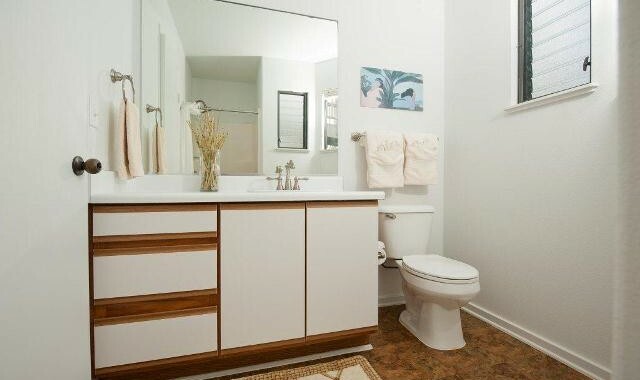 The master suite has a lovely Queen size bed, TV, full bath, and a private lanai. 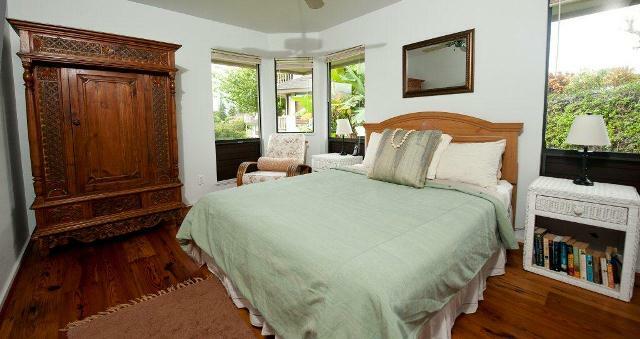 The guest bedroom also features a Queen size bed.